Montego Bay, Jamaica based Le Antonio's Foundation - End Bullying Globally Campaign - has extended its perimeters to the parish of Hanover. 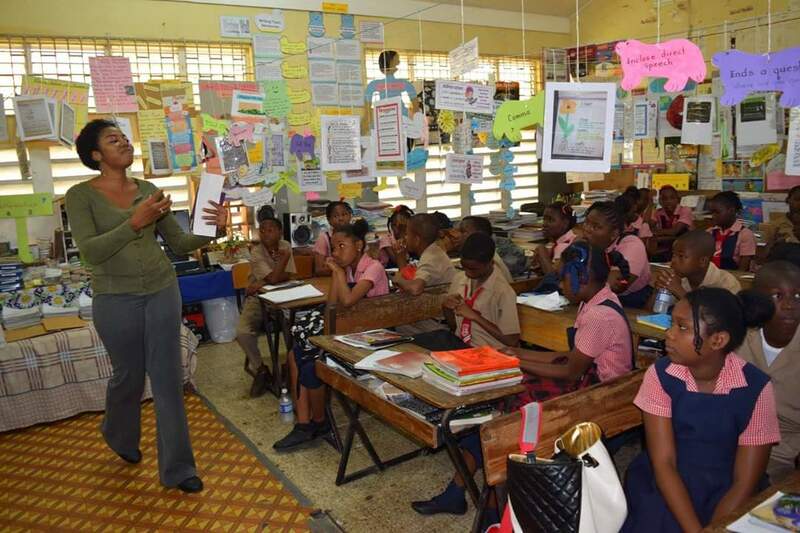 Our End Bullying Campaign team was invited to campaign in the public schools of Hanover - west Jamaica - by Mrs. Katrin Casserly, Chairman of the Hanover Charities, a supporter and donor to Le Antonio's Foundation. Mrs. Casserly arranged our education visit with our first school in the parish, on March 10, 2016 where we were welcomed by Mrs. Wright, principal of the Esher Primary School. We began our visit at Esher Primary School by holding our devotional exercise with the sixth (6) grade students. The students gathered for our introduction of the Foundation and overview of the End Bullying Campaign. Motivational speaker Ann-Marie Graham met with both fourth (4) grades and sixth (6) grade students in their respective classroom, where she demonstrated our presentation on bullying and the effects it has on our youths today. 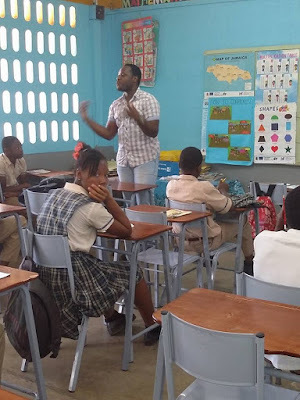 Mr. Reid, Le'Antonio's Foundation's Youth Coordinator and Mrs. Rackeisha Newby visited the other sixth (6) grade class and gave the students a presentation about the awareness of bullying and its effects on them and their peers, and ways each student can help to stop bullying. We discussed warning signs that students can recognize if another student is being bullied. The students were informed of the importance of speaking up against bullying, how to do so, and who they can talk with for help. The students of the Esher Primary School were very welcoming and were engaged in the information that they were learning! Starting from the right we have Mrs Katrin Casserly (Chairman of the Hanover Charities), beside her is Ms. Ann-Marie Graham (motivational speaker), next to her is Mr. Odane Reid (Youth Coordinator), beside Mr Reid is Mrs. Rackeisha Newby, volunteer assistant and standing next to Mrs. Newby is Mrs Wright principal of the Esher Primary School. 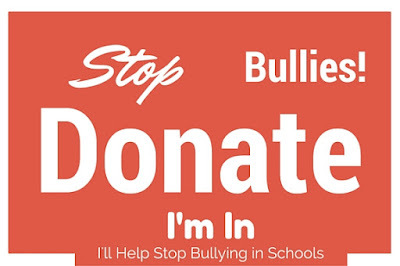 For more information about Le Antonio's End Bullying Globally initiatives, please visit our Anti-Bullying page. Your support is welcomed!